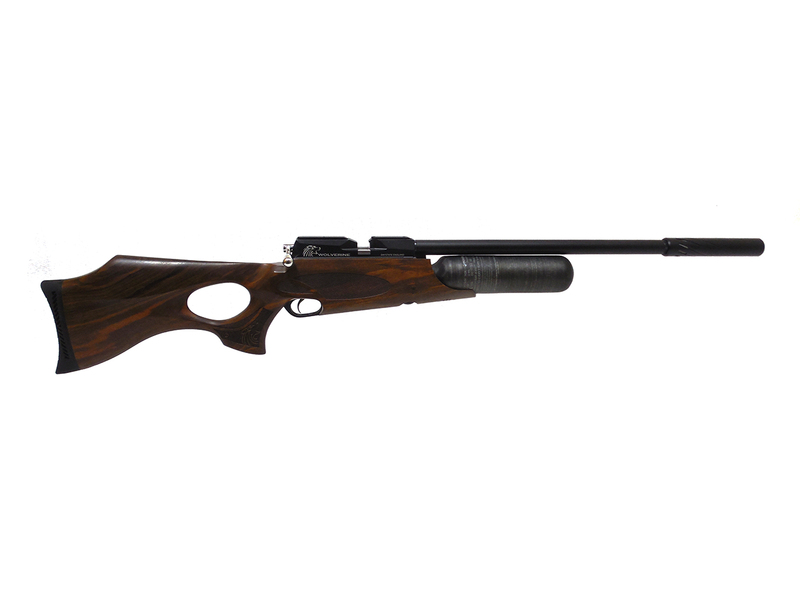 Daystate’s Wolverine Hi-Lite is a bolt action, High Pressure Air (HPA) / Pre-Charged Pneumatic air rifle available in .177, .22, and .25 caliber. 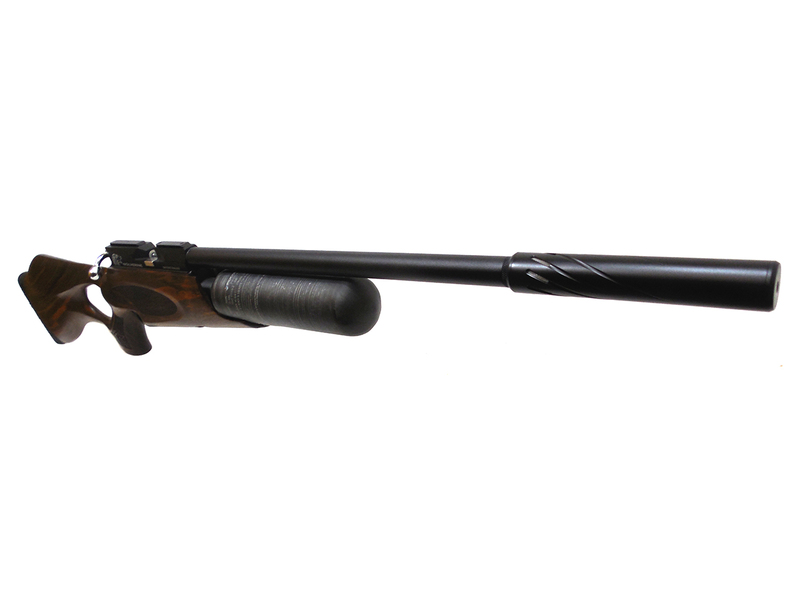 Daystate has long been recognized as the premier maker of precharged air rifles. With over 30 years experience in product development and technology Daystate has perfected many of the systems involved in putting a pellet down range. 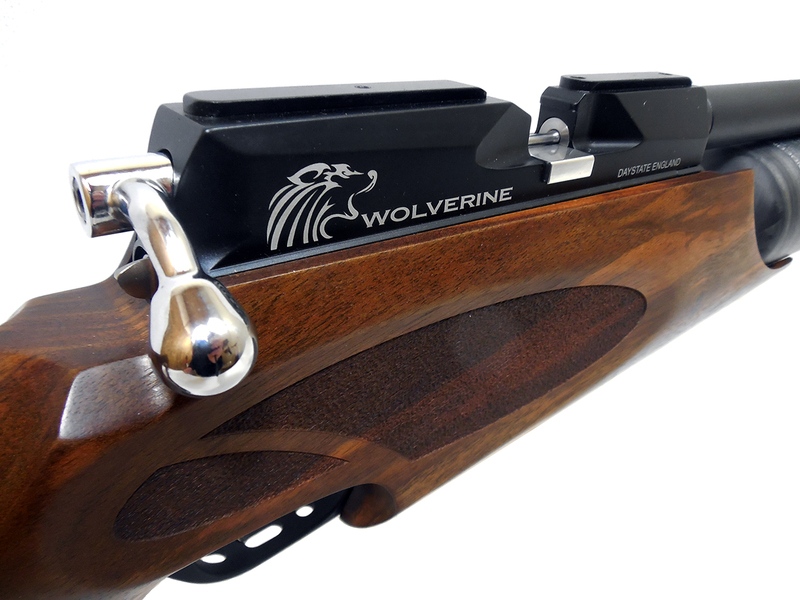 The new Wolverine B (for bottle) is the latest entry in the Daystate family of rifles. 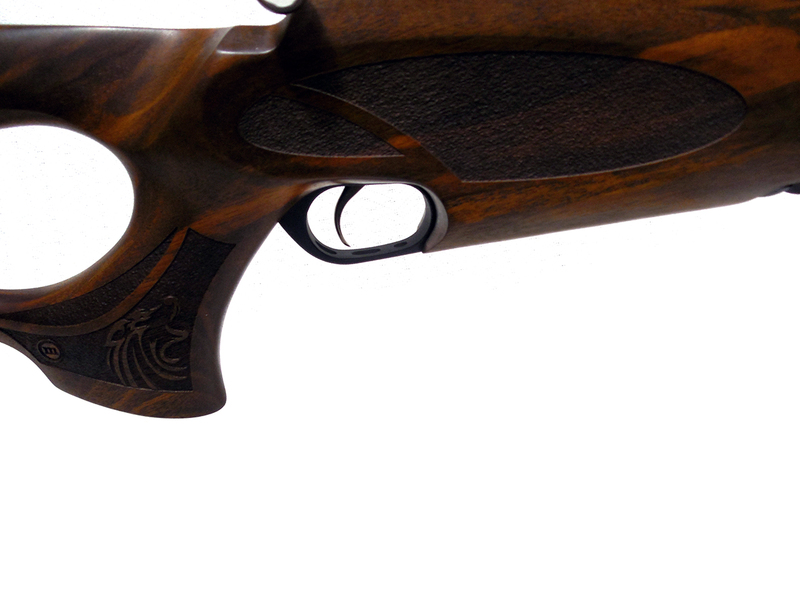 The foundation for this new gun is a beautifully machined, single-piece breech block. This engineering masterpiece is the same unit used in the 303 Wolverine. 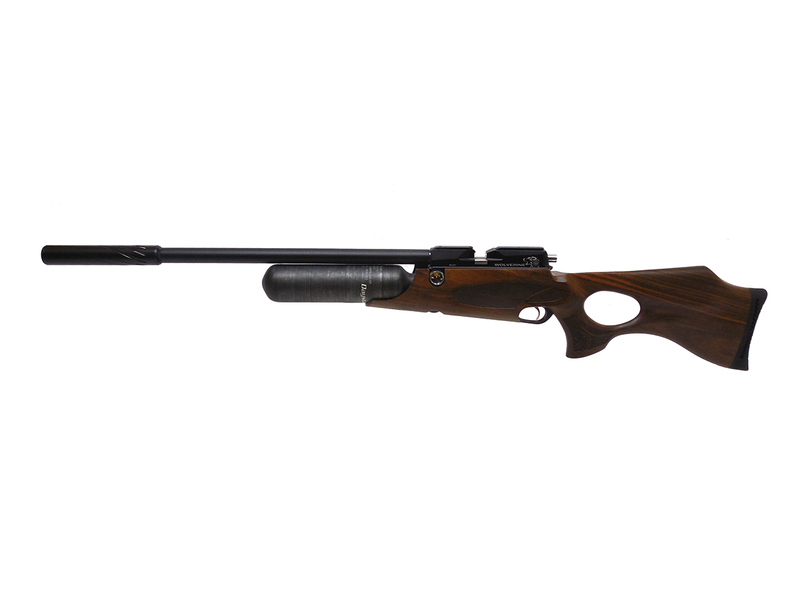 Made to withstand the pressures and demands of the 100 ft lb 303, this action makes the smaller calibers sing with quality and performance. 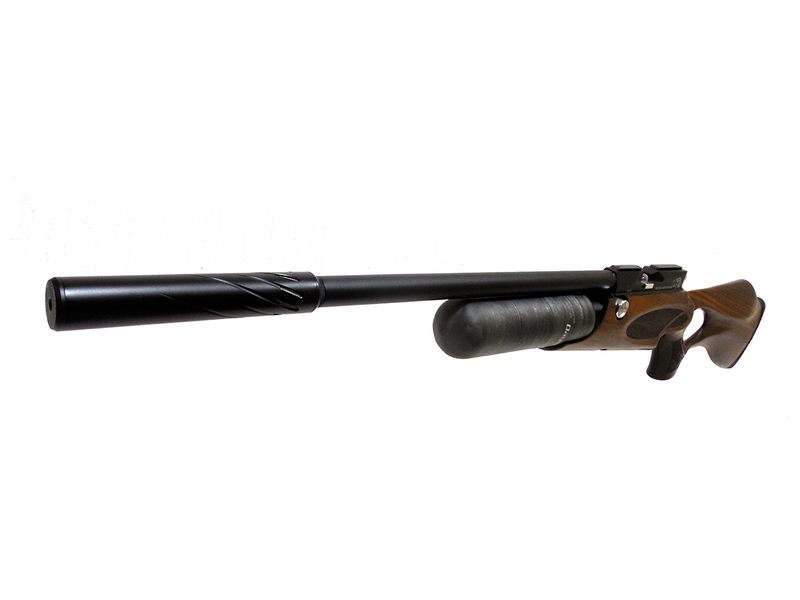 Mated to the high strength action is a 500 cc air supply that fuels the super efficient Harper sling shot hammer and valve train. 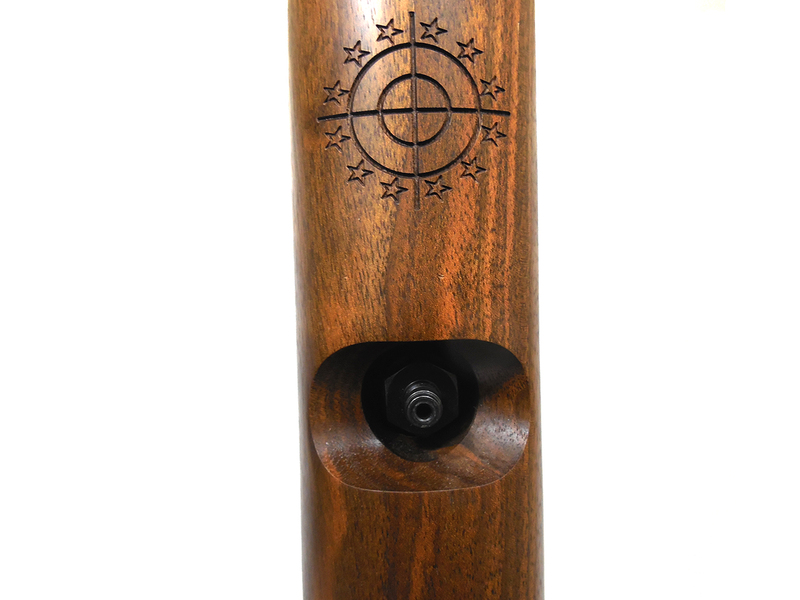 This combination rewards the shooter with unbelievably high shots per fill and a very sedate firing cycle with almost no movement coming from the action. 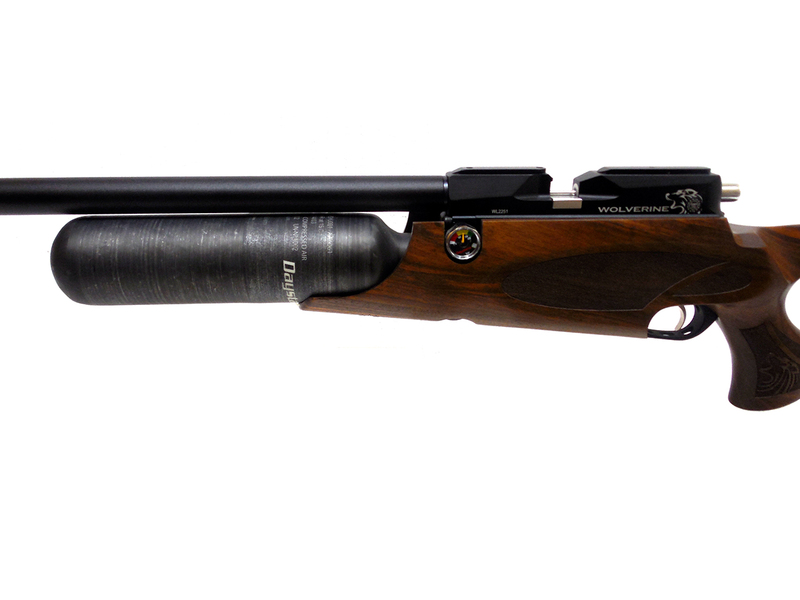 The barrel is the best that Lothar-Walther has to offer and will give match winning accuracy. 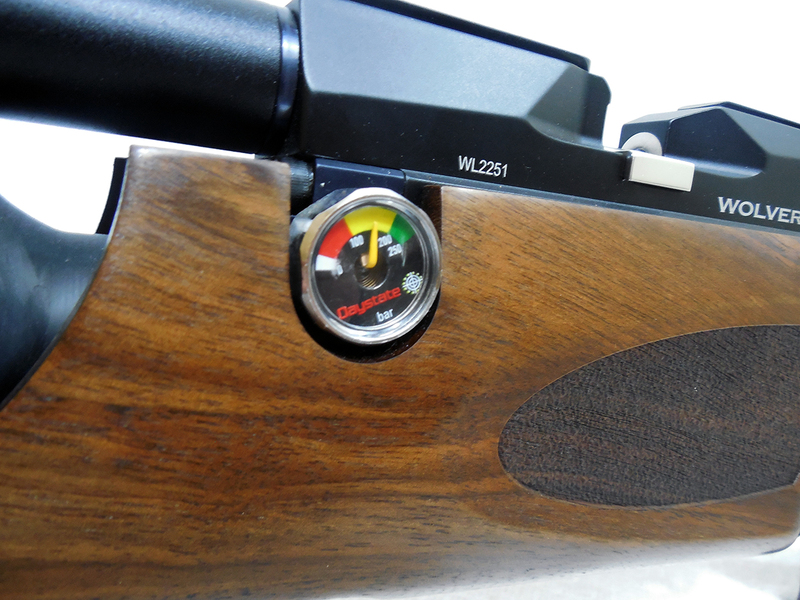 The trigger system is the best that Daystate has to offer with a mechanical release that is glass-break crisp and can be adjusted to the needs of the individual shooter. 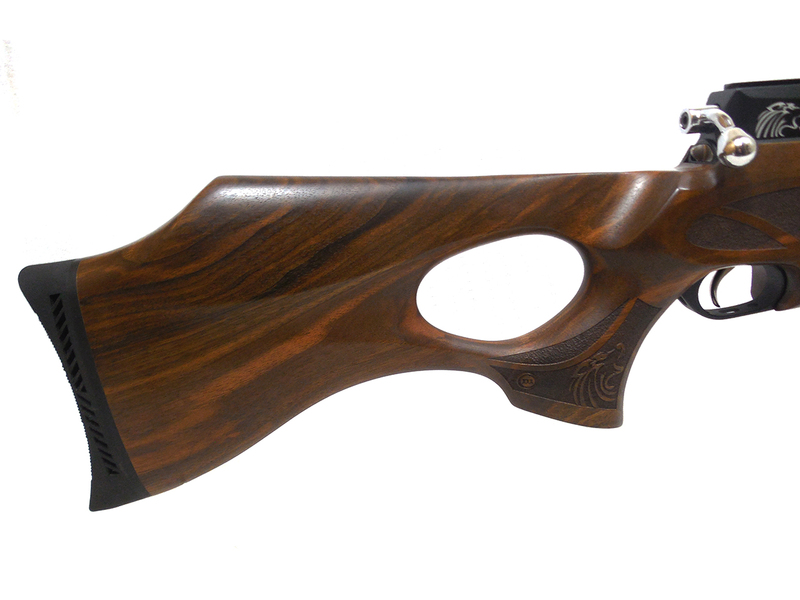 The new Wolverine B sports a walnut stock crafted by the Italian masters of Minnelli. 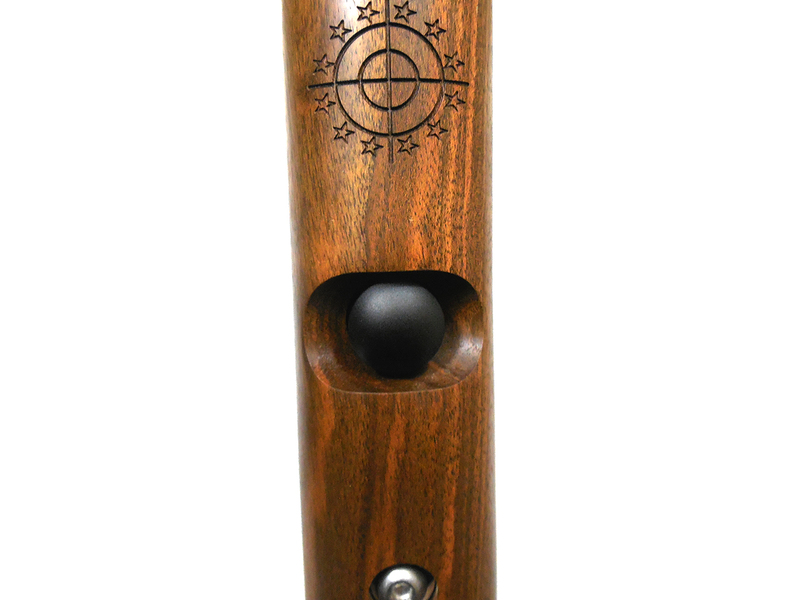 The oil finish is hand rubbed and gives depth to the special select grade of wood used on this model. 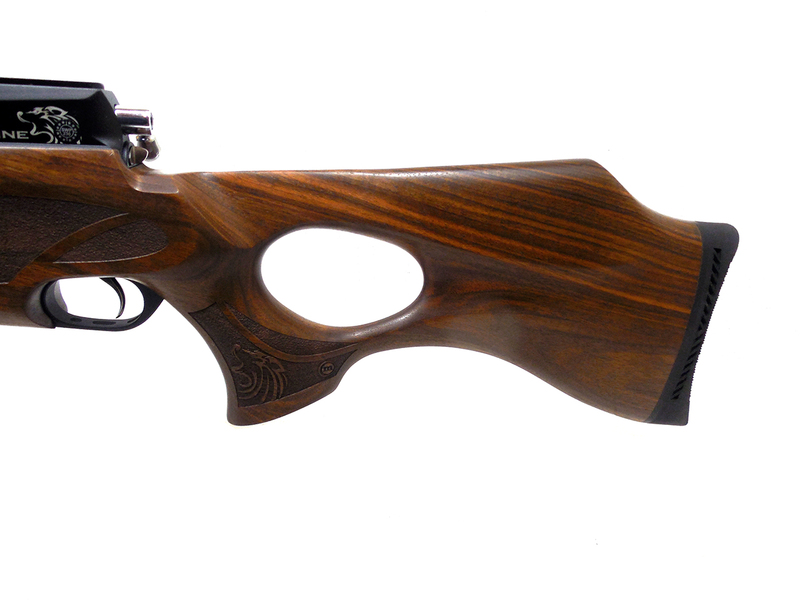 Special engraving on the stock and action gives elegance and a pride of ownership.